Seabourn is introducing two prominent authorities on innovation and industry over the year ahead for "Seabourn Conversations," the award-winning cruise line's onboard enrichment and special guest entertainment program. Sharing their insights and interests onboard Seabourn Odyssey will be Steve Wozniak, co-founder (with the late Steve Jobs) of Apple Computer Inc., and Lord Digby Jones, former Director-General of the Confederation of British Industry (CBI) and Minister of State for UK Trade and Investment. With notable backgrounds and impressive resumes, both Wozniak and Lord Jones remain active and engaged on many levels. Wozniak designed the hardware, circuit board designs and operating system for the Apple I personal computer and was awarded the National Medal of Technology, the highest honor bestowed on America's leading innovators, by President Reagan in 1985. He was inducted into the Inventors Hall of Fame in 2000, and released his New York Times-bestselling autobiography, "iWoz: From Computer Geek to Cult Icon: How I invented the Personal Computer, Co-Founded Apple and Had Fun Doing It" in 2006. Lord Jones is the former Director-General of the Confederation of British Industry (2000-2006) and Minister of State for Trade and Investment (2007-2008). He was knighted in 2005 for his services and became member of the House of Lords in 2007. He is currently Business Ambassador at UK Trade & Investment, Chairman of Triumph Motorcycles Limited, Corporate Ambassador for Jaguar Cars, among many other titles. 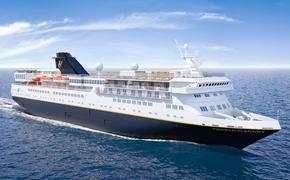 Steve Wozniak will be on board Seabourn Odyssey's Dec. 21, 2014 voyage and Lord Jones on Seabourn Odyssey's March 23, 2015 cruise. "The art of conversation is a key element onboard our ships, and nowhere will the chatter be more listenable than on Seabourn Odyssey when Steve Wozniak and Lord Digby Jones start the dialogue," said John Delaney, Seabourn's senior vice president, marketing and sales. "We're very excited to welcome both dignitaries and allow our guests to enjoy their insights and knowledge." A list of currently scheduled "Seabourn Conversations" guest speakers can be viewed here. Seabourn's intimate, award-winning ships offer key elements that set Seabourn apart: spacious, thoughtfully appointed suites, many with verandas; superb dining in a choice of venues; open bars throughout the ship; fine wines poured at lunch and dinner; award-winning personalized service and a relaxed, sociable atmosphere that makes guests feel right at home on board. 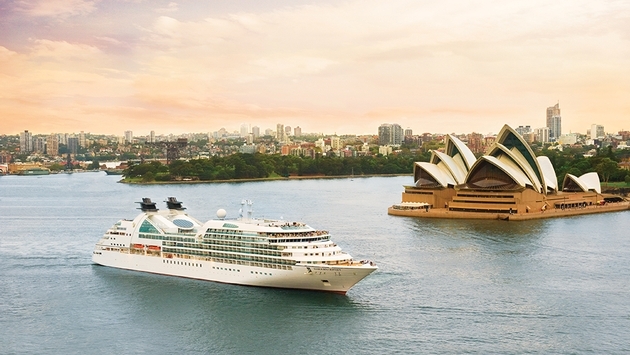 Seabourn's ships circles the globe throughout the year, sailing to the world's most desirable destinations at their peak seasons including marquee cities and lesser-known yachting harbors and hideaways that few travelers ever see. Remarkably all-inclusive fares offer tremendous value for one of the world's finest travel experiences.